Grewal filed a petition yesterday with the District of Columbia Circuit Court, asking it to hear the state’s arguments that the Federal Energy Regulatory Commission (FERC) erred when it issued a Certificate of Public Convenience and Necessity to the pipeline project in January. In February, Grewal asked FERC to stay the certificate and rehear the case, in a motion that was seen as a precursor to the legal challenge that it has now made. FERC responded to the rehearing request with a “tolling order,” a mechanism that in theory gives it more time to consider the request but which in practice means that the agency takes no action for about six months and then summarily dismisses the request, critics say. Other groups seeking a rehearing include three New Jersey municipalities, three New Jersey state lawmakers, a Pennsylvania township, and activist groups in both states. If constructed, the $1 billion pipeline would carry natural gas about 120 miles from Luzerne County, Pa. to Mercer County, NJ. In the latest motion, New Jersey argued that FERC does not have the authority to issue a tolling order when a rehearing request is combined with any other request such as a stay. The state argues that FERC was wrong to give PennEast the certificate that has allowed it to file eminent domain suits against some 150 New Jersey landowners who have refused its offers of compensation for building the pipeline on their land. The state has also declined the company’s offers of compensation for easements on several parcels of state-protected land in Hunterdon County, totaling about 1,300 acres. Since many landowners have denied the company access to their land to survey for the pipeline, the company lacks knowledge about environmental impacts on about two-thirds of the route, the state said in its motion to FERC in February. Even so, FERC’s certificate allows condemnation — the process by which land is taken via eminent domain — for all the route, the motion said. 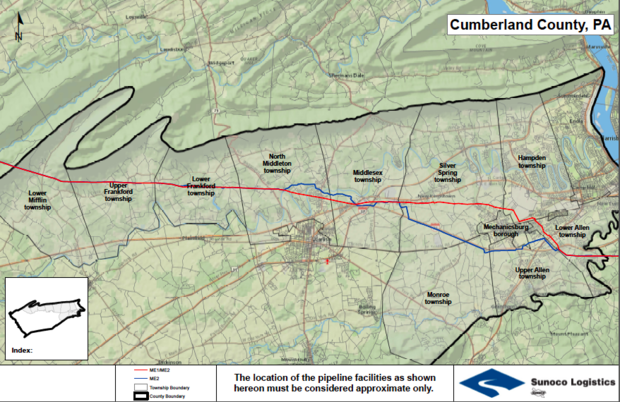 “Enabling PennEast to condemn perpetual easements before knowing whether the route must be shifted to avoid environmental impacts undoes the preserved nature of the land even if the pipeline will ultimately never cross that land due to route changes,” the state said in February. In the new petition, the state calls FERC’s certificate “arbitrary and capricious” because it lacked environmental information, improperly relied on PennEast’s contracts with its affiliates to demonstrate public need for the line and tried to minimize or avoid environmental impacts rather than mitigating them, as required under federal law. 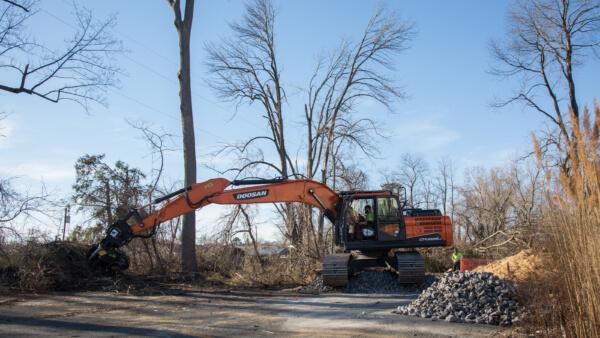 The motion is a rare or perhaps unprecedented example of a state challenging FERC on its certificate of approval in a pipeline case, said Jennifer Danis, an attorney who represents the New Jersey Conservation Foundation, a leading opponent of the pipeline. “I don’t know of another state that has taken a broad legal challenge at a FERC certificate in a pipeline case,” Danis said. FERC is likely to respond by asking the court to dismiss the petition, and the real question is whether the court agrees to hear the case on the merits, Danis said. Tom Gilbert, campaign director for the NJCF, said the motion challenges FERC’s “flawed” process and its findings. “PennEast never should have been approved in the first place,” he said in a statement. FERC spokewoman Tamara Young-Allen said the agency can’t comment on matters that are subject to a final commission order. PennEast spokeswoman Pat Kornick said FERC’s approval of the project is consistent with the agency’s longstanding policies and that the company is confident that the courts will uphold the review process. The company says it expects to begin construction this year and for the pipeline to start operating in 2019. 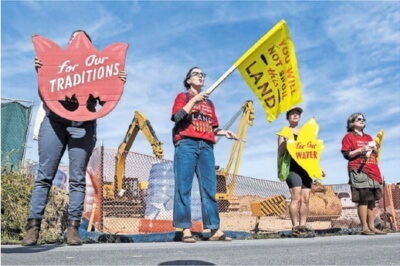 In a separate case, a federal judge in Trenton is expected to rule shortly on whether PennEast can use eminent domain to take land from about 130 landowners along the New Jersey portion of the pipeline route. FERC’s approval of PennEast was a blow to opponents but the project still needs permits from a number of agencies including the New Jersey Department of Environmental Protection and the Delaware River Basin Commission. 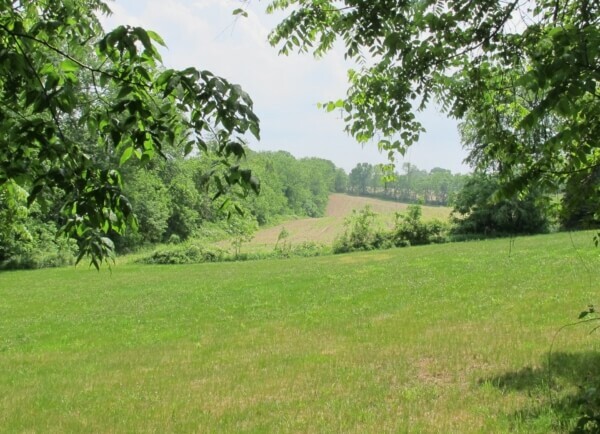 Photo caption: Part of the proposed PennEast pipeline could run through this stretch of land in Bucks County, Pa. New Jersey has taken a stronger position toward the pipeline. The Attorney General’s office has filed a federal appeals case to try to halt construction while Pennsylvania has approved water crossing permits.